Are you working hard but frustrated with your sales results? Are you struggling to keep prospects moving forward? Are you wondering if there's something you can do to maximize your selling efforts and efficiency? Set yourself up for a big win in 2019 and address the frustrations and obstacles that hold back your confidence and results. 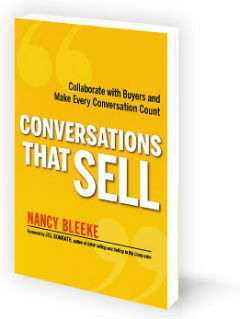 Join Sales Pro Insider CEO and Top Sales Book Author, Nancy Bleeke December 6th @ 2PM Central for a brand new workshop. 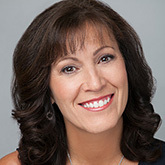 An easy to implement approach that won't make you feel "salesy"
Sales Pro Insider training has given me a system to work through and a blueprint to continue to get better. I used the approaches I’ve learned and signed up 2 new clients, getting me closer to my year end goal. The impact from Sales Pro Insider training will change the way I approach almost every sales conversation I have. I can see this helping me reach some of the goals I have set out to accomplish by year end.